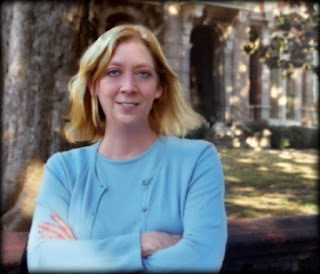 Today, our guest is JDR Hawkins http://jdrhawkins.com and her new novel, A Rebel Among Us, has just been released. This is the third book in the Renegade Series, about a family from north Alabama and how the Civil War effects them. When did you start to write the Renegade Series? What inspires you to write the third book 'A Rebel Among Us'? I spent six months doing extensive research before I started writing the Renegade Series in 2005. But as I wrote, I realized the novel was too long, so I split it in two. Now, the first book in the series is titled A Beckoning Hellfire, and the second is A Rebel Among Us. I wrote another sequel, and then I went back and wrote a prequel titled A Beautiful Glittering Lie. The first three novels in the series, A Beautiful Glittering Lie, A Beckoning Hellfire, and A Rebel Among Us, are published, and the fourth book will come out in late 2017 or early 2018. What is so special about this third book? Will there be a sequel to this? 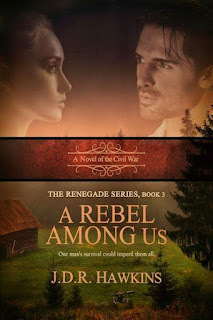 All of the books in the Renegade Series are based on a family saga, but A Rebel Among Us is different from the first two novels in that it includes a deeper element of romance and does not depict any battle scenes. Which are your top 3 favourite characters in the story? How did you craft these characters? My top three favorite characters in this book are the protagonist, David Summers, his love interest, Anna Brady, and her neighbor, Patrick Mulligan. David is a combination of myself, my dad, and my oldest son. Anna is a reflection of myself, my mom, my sister, and my daughter-in-law. Patrick is a product of my Irish heritage, as well as my husband’s, whose great grandmother’s last name was Milligan. Why did you choose to write about the Civil War effects? I was inspired to write a novel about the Civil War when I took a trip to Gettysburg in 2003. After my visit, I wanted to write something that was different from what I had read, so I decided to write a story about a typical Southern soldier who had a farming background, didn’t own slaves, and was not an officer. In other words, just a typical kid from the sticks. This was the case of most Southern soldiers. After conducting my own research, I learned that Southerners did not fight to preserve slavery, which was contradictory to what I was taught in school. The war made a profound impact on this nation, and the next novel in the Renegade Series will discuss the repercussions further.